In commemoration of Valentine’s Day, I’ve decided to share how to turn the common V-day celebrant into a k-drama lover. It is no easy task, this conversion. But if you succeed, you will change a person’s life forever. That person will forever wish to give chocolates and flowers to favorite k-drama characters, actors and indeed, dramas in general. Even though it is difficult to give a drama flowers, the k-drama convert will somehow manage the feat. Trust me. I am the proud leader of a pack of k-drama minions. I have succeeded in converting not one, but three people. One is a reluctant convert who will in no way admit that she has been swayed to the lovers’ side – but the truth is the truth. K-drama has won their hearts. To create a convert is a careful process. You can’t just force drama down a person’s throat. You must plan. Carefully. Luckily, the dramas do most of the work. The trick is to get a person to begin the drama. But which drama to choose? This is a decision of utmost importance. It can’t be your favorite drama or something with your favorite k-leading man or k-leading woman. The potential convert must be studied in great detail. If you must, question your victim. Yes, victim. Haven’t we all been victims of love at one point or another? Question your victim. What sort of television is his usual fare? Genre. Actor and actress types. Favorite shows, films, sitcoms and reality shows. If the person doesn’t watch television, delve into books and daily interests. There is ALWAYS a way to glean the information you require. Never forget it. Once the intelligence has been gathered, you must determine the appropriate drama. It is best for the non-Korean victim if not too much about Korean culture and customs must be explained in order to understand the drama. Beyond that, I’m afraid I can’t help you. Dig into your arsenals, k-drama fans. I have faith in you. Next, you must find the perfect time and venue of exposure. Must there be popcorn? Dinner? Must it be at the victim’s home or yours? Daytime? Nighttime? Must you bribe them with chocolate? Set the mood properly, just as you would for your Valentine’s date. You need to impress. Then, you watch together. Be sure not to get overly excited that this commoner has taken a step into k-dramaland. Try not to squee too much or rave about an actor or actress. Answer questions with concise answers. You don’t want to scare them away. There will be time for massive amounts of fangirling later. After the episode has finished, gauge the reaction of your victim. Sadly, the first episode may not have been enough to draw them in. But don’t be discouraged. Persevere like a k-drama lead! Woo your victim into another episode. Then you can break out the champagne and strawberries. My younger sister, now auspiciously known as Lil Raine, has always been a fan of manga and anime and she’s even watched the occasional T-drama and K-drama. But she didn’t really get it. You know those kinds of people. They’ve seen a mediocre show that didn’t do k-drama justice and not given the wonderful genre a second chance. Lil Raine was one such person. She didn’t even have a passing interest in her unni’s blog or coming in to watch drama with me. Every time I’d ask her to watch with me she’d say, “I don’t feel like it.” I tried to hold in my frustration. But alas, I could not. So I came up with the plan, the steps I explained above. Because she is my sister, I know her pretty well and I chose My Girlfriend is a Gumiho as my method of persuasion. It’s funny, easy to relate to, not to heavy, well cast and has very good cliffhangers. By episode 8, she was begging me to come home so we could watch together. When it was over, she asked me for something else to watch. Nearly 20 k-dramas later, Lil Raine is well-versed in Korean actors, dramas, drama styles and even Dramabeans-style analysis. We watch dramas together, munch on snacks and squee over favorites like Lee Min-ho, Shin Min-ah and Jo Jung-seok. My mother had a passing interest in k-drama. Both she and I are language nerds. We love learning about new languages and I had explained a little about the Korean language to her. So when I was watching, she’d stop to ask questions about the communication. And then she would make fun of the screaming mothers. So I knew I couldn’t give her a show with a vicious mother-in-law or a squeaky, pestering second lead. It had to be something that would engage her mind, keep her interested and be fun to figure out. She loves crime shows and problem-solving shows. City Hunter was perfect. The romance wasn’t overdone. 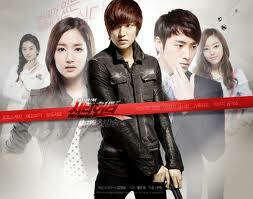 There was mystery, fine acting, some action, psychological intrigue and Lee Min-ho. Lil Raine and I planned to expose our mother over winter vacation. My father and brother were away for work and my mother was lonely. Our arrival helped alleviate her loneliness and made her more susceptible to suggestion. We asked her if she’d like to watch a k-drama with us and she readily agreed. It would be female bonding time with the boys away. We left Florida to Colorado before finishing the series, so now Lil Raine is watching it with mom via Skype. Not even distance can part us from love. This is my most difficult conversion. I’m still in the process of winning this one over. She is resisting quite fiercely. She is none other than my bestie RoboticRaven. Now RoboticRaven is a difficult case. From the start, she found my obsession with k-dramas as a thing to be playfully ridiculed. For the two years of my k-drama obsession, she has made fun of me and not once shown the slightest interest in indulging my desire to watch drama with her. She is quite a smart woman, so she remembered the names of my k-drama obsessions, especially Park Shi-hoo. But that didn’t mean a thing. She even perused my blog in the name of friendship, but still wasn’t tempted. I was stumped. How to win her over? She and her husband, Mr. RoboticRaven, watch a lot of reality shows and comedy together. But when we lived together, she and I watched shows like Criminal Minds. A thriller. My RoboticRaven isn’t the most patient woman in the world so I knew I couldn’t introduce her to k-dramaland with a long drama. In fact, a special was my best bet. What better drama, then, than the brilliant 8-episode special White Christmas? I got her to agree to watch it after I told her the general premise and promised to buy her lunch while we watched. I set up the futon in my office with blankets dimmed the lights. Every weekend we watched an episode (because we’re both busy) and then I had to go home for winter break. When I came back, she immediately asked to finish the show. It finished and she had a completely different reaction from me and we had fun discussing the ending. A few days later I got a text asking if “Flower Boy Next Door” was good. She was surfing Hulu and found it! ASA! Victory! I was so shocked that she initiated the k-drama watching that I had a squee attack. SHE initiated. More good news about my RoboticRaven: because so much time had passed between watching the White Christmas episodes, she wants to watch it again to really get the jist of it. AND, Mr. RoboticRaven wants to watch with her. K-drama as a Valentine’s day couple’s activity. Check. From me to you, I wish you a Happy Valentine’s Day. 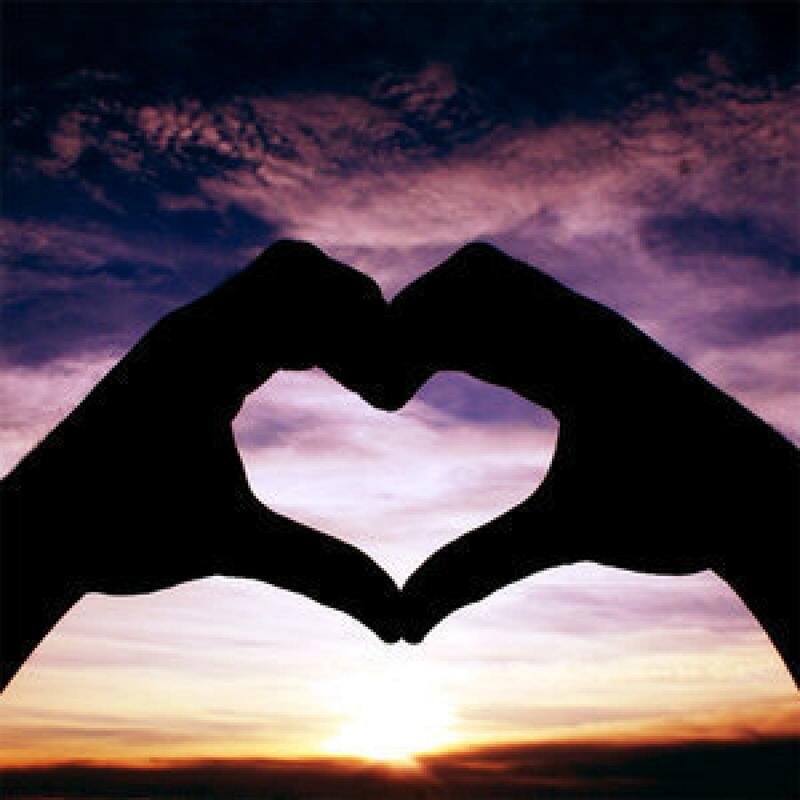 Please, don’t feel discouraged if my prescribed plan does not work on this Valentine’s Day. These things take time. But my love for k-drama can still be shared and my love for my readers and k-drama friends. I want to extend a special round of affection to my sister, mother and bestie for making me so happy. K-drama obsession loves companionship. Do you have a success story? Are you in the process of swaying hearts? Please share! There’s no way my hubby would ever watch a K-Drama with me, however, he does understand my fixation with it! He even bought me some K-Drama movies for Christmas!!! aja aja!!! Yay!!!! Well done on the coercing!!! I have found that talking about K-drama with friends who already watch while in the presence of others. My one roommate was so curious as to what bustered (my k-drama blogger buddy) and I were talking about all the time, that she sequestered herself in her room and watched BOF in one go. It traumatized her, so I suggested something less makjang, she watched Secret Garden now she’s in love with Hyun Bin. She has watched a few others, but she hasn’t quite become a full addict yet. Like Lil_Raine, my sister loves anime, so it was an easy switch. We watched, and sobbed over Secret Garden together over Skype, and we’ve started a few others. She now regularly updates me on her watching, and biases. My Hindi teacher also got curious because I used to post a lot about K-drama on Facebook (I now do that a lot more on Twitter etc.) and she started watching. She is now an avid fan, and her children can even sing along to some of the OSTs (MadDino has also met her). One of my colleagues was tagged teamed by me and another friend, and she recently shook her fist at me because I helped get her addicted. Excellent tips Raine!!! Based on countless comments on twitter and blogs, most of the k-drama lovers mom’s like Lee Min Hot dramas, which is very interesting….My sister and I have tried to get my Mom to watch a drama but she refuses, so my next target is one of my BFF & my 15 yr sis-in-law…..I am still debating what drama to recommend..wish me luck!!! Hmmm… I notice you forgot to mention that you have yet to interest me in a non-White Christmas k-drama. Just because I started Flower Boy doesn’t mean I’m going to finish it! Keep trying, Raine. I’m not a minion yet. I told you that you were difficult. But I am a woman of perseverance! Beware! I was just thinking that too!! !